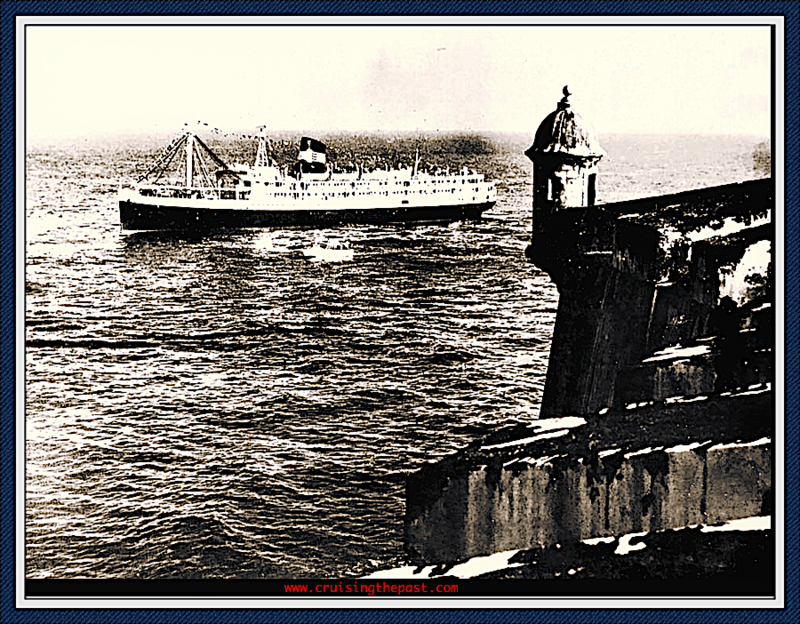 Home / CRUISING THE PAST / The Bull Lines and the mid-century S.S. Puerto Rico. 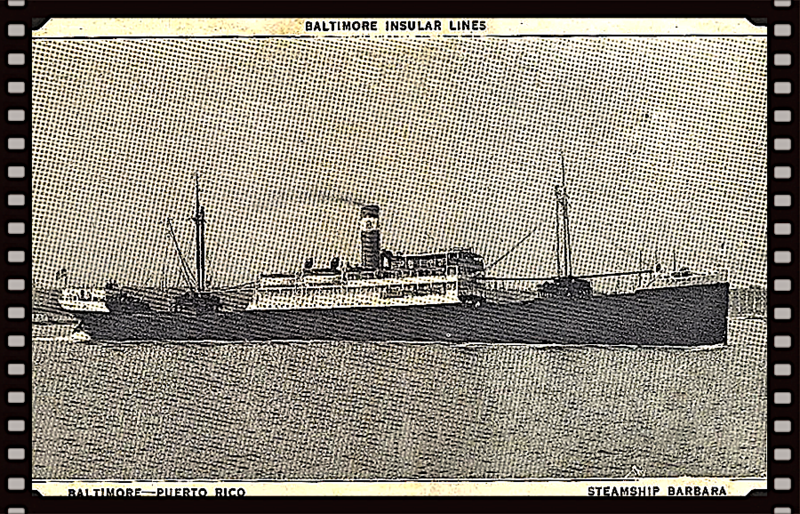 In 1902, Archibald H. Bull, who had been a partner in the establishment of the Porto Rico Line seventeen years before, founded A. H. Bull and Company to operate a fleet of cargo steamers in the Puerto Rico trade. 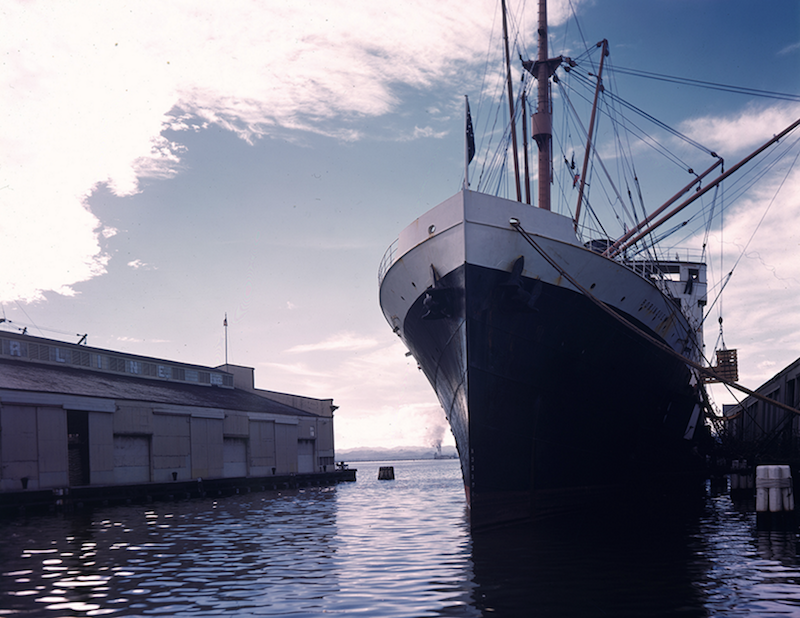 After World War I, the company’s fleet was in by the assignment of war-surplus cargo ships. Passenger services were begun in 1923 when the S. S. Catherine, a 2,286-ton standard “Laker” type freighter was purchased and refitted to carry fifty-four passengers on an overnight service between San Juan and Saint Thomas in the Virgin Islands. In 1930. the company acquired the S. S. Santa Cruz from the Grace Line’s South American service and renamed her the S. S. Barbara to operate between Baltimore and San Juan. Passengers aboard the S.S. Barbara in the late 1930s. A trade route taken over from the defunct Insular Line, and in 1937 the S. S. Catherine was given an extensive refit in which her cabins and public rooms were rebuilt to make her the first ship with incombustible passenger quarters. Four years later, the S. S. Catherine was taken over by the Navy as the cargo ship U.S.S. Stratford, and in. March 1942 the S. S. Barbara was torpedoed and sunk in the Caribbean. 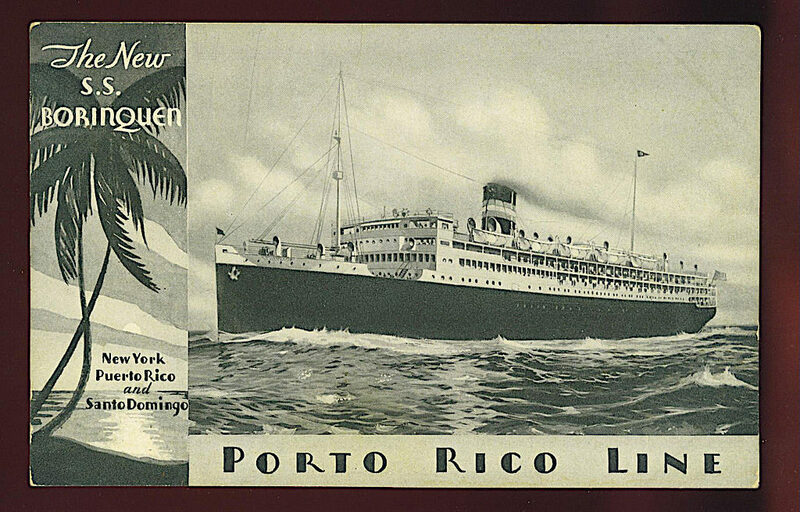 Soon after the S. S. Catherine returned from war service in 1946, she as sold to British buyers, leaving the company without a passenger ship, but in 1948 the Puerto Rico Line’s former flagship S. S. Borinquen was purchased from the Agwi Lines. S. S. Puerto Rico maiden voyage announcement. 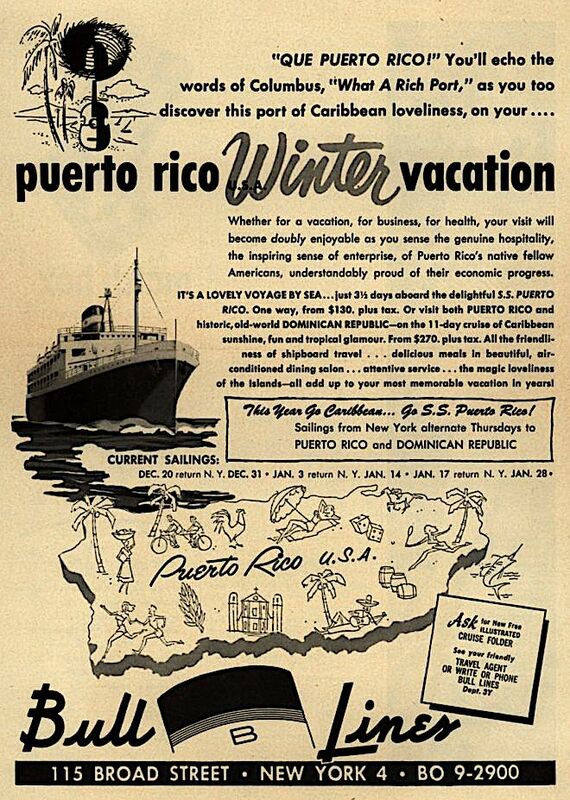 She was renamed the S. S. Puerto Rico and her maiden cruise was in 1949. S. S. Puerto Rico docked in Brooklyn. The S. S. Puerto Rico sailed from Brooklyn, N. Y. She was given an extensive overhaul which included the removal of her mainmast and the fitting of a new and larger funnel, and in August began fortnightly sailings from New York. 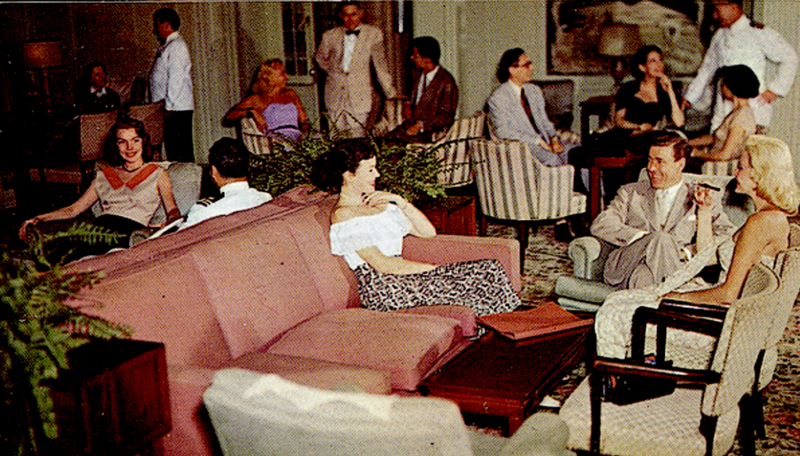 The ship’s interior were redecorated with new furnishings. The S. S. Puerto Rico operated under the American flag with an all U.S.A. officers and crew. Newspaper ads were placed in many USA markets. 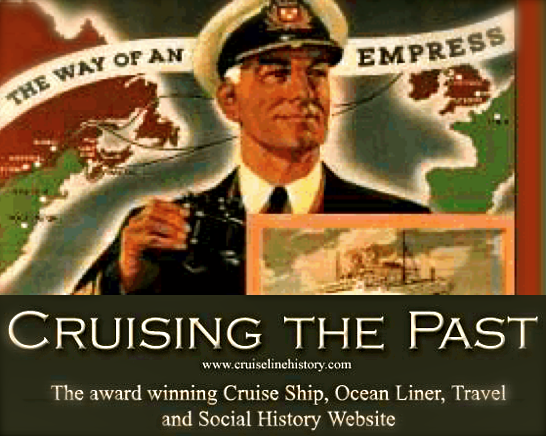 Travel story on the Bull Lines cruise in 1950. 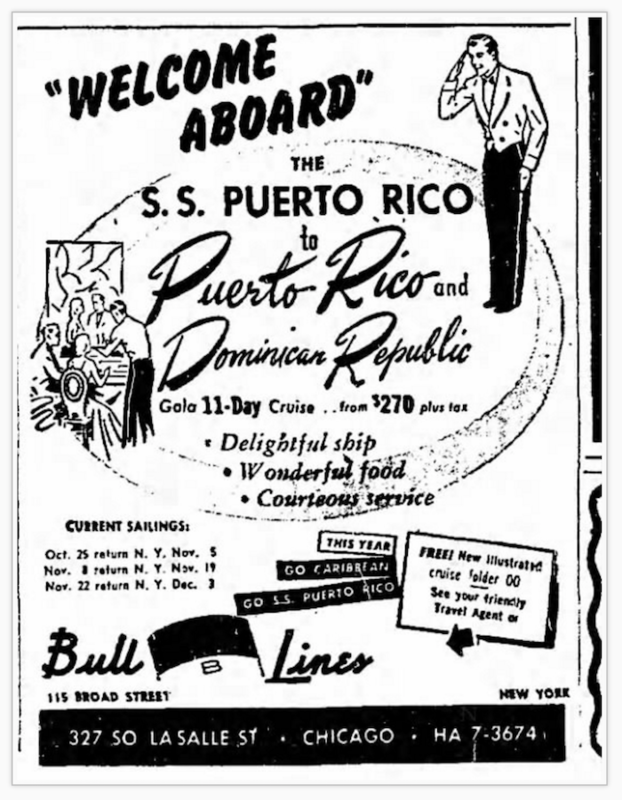 Bull Lines advertised and marketed the S. S. Puerto Rico offering cruises from New York to Puerto Rico and the Dominica Republic. 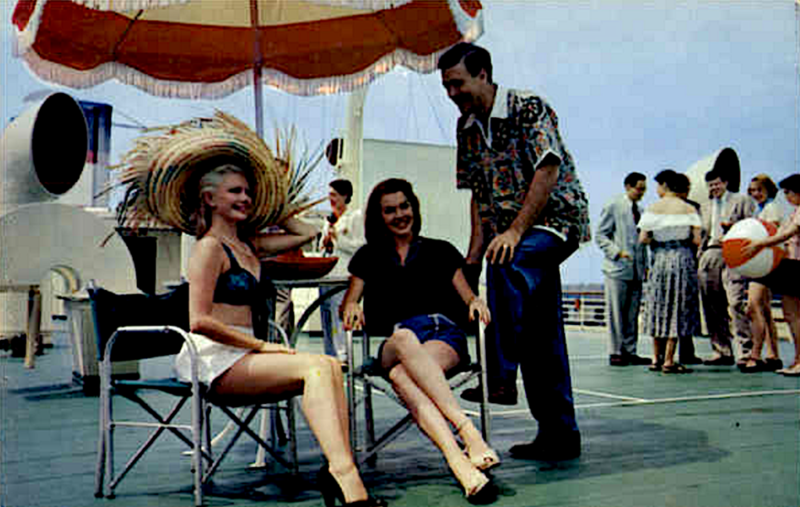 Sun Deck on the S. S. Puerto Rico. Bull Lines cruises advertised in the Chicago Tribune. 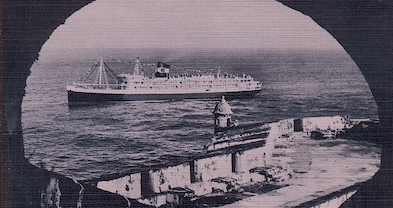 High operating costs, low freight rates, and heavy airline competition combined to make the venture unsuccessful, however, and late in 1951, the S. S. Puerto Rico was laid up. Two years later she was sold to the Swiss-owned Arosa Line to end the Bull Line’s passenger services. Previous: A great video of the most dangerous and extreme railways in the world! Next: The streamline modern M.V. Chinook was “The Queen Elizabeth of the Inland Seas”!